EAA® Weihrauch Bounty Hunter .45 Long Colt Revolver. Relive your "wild west" days! The EAA Weihrauch Bounty Hunter is made in Germany and has been sold in the USA for over 20 years. It's a classic 6-shot Revolver with traditional resting notch, but also features a transfer bar and recessed chambers for shooting safety. Its walnut grips fit comfortably in your hand and the steel frame will last for years of shooting fun. So whether you're plinking cans or using it as a backup on your next hunt, the EAA Weihrauch Bounty Hunter won't let you down. 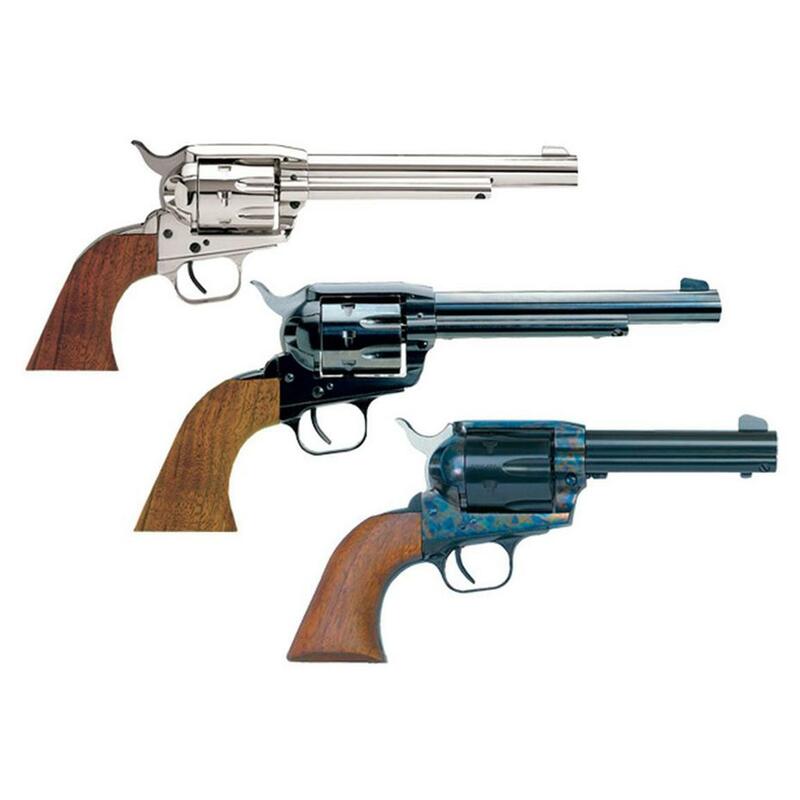 EAA Weihrauch Bounty Hunter, Revolver, .45 Long Colt, 770098, 741566010344, 4.5 Barrel, Nickel finish is rated 5.0 out of 5 by 1. Rated 5 out of 5 by rudedog from quality - price - shoots great - looks fantastic - fit & finish supurb!pp purchased in dec.2018. best 1873 clone I have ever seen . as strong as they come . easily handles tier 3 starting loads. after break in I may get a trigger job but other than that this is the best revolver I have ever owned ! fit & finish is awesome !if this gun was offered in a target model it would be the perfect hunting 45 colt !